Of course, the DIY Dessert Buffet and Backdrop was one of our favorite party details. We love dessert and we really wanted to it shine at our baby shower. Our dear friend, Katie of Katie’s Creative Baking whipped up most of our dessert table, which meant it was sure to stand out! We added some adorable diy detailing to ensure our backdrop created the perfect ambiance for our event. 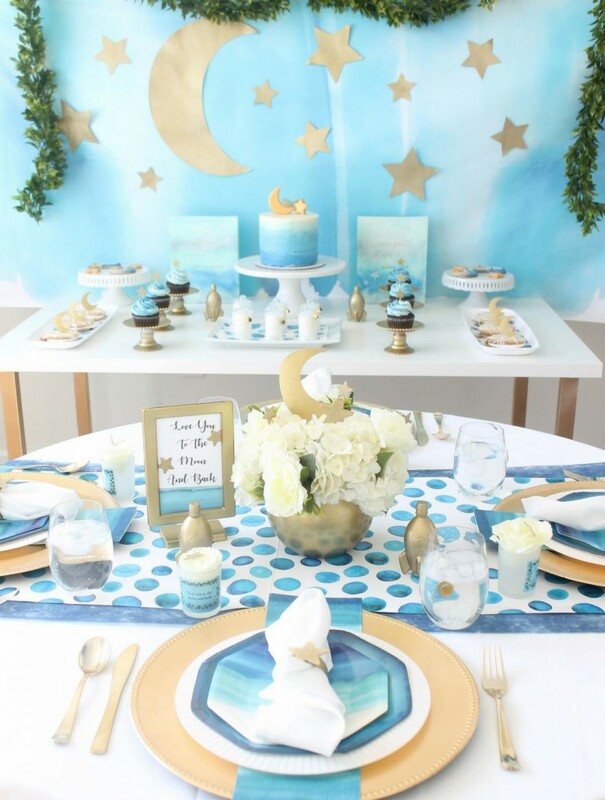 You cant get the full step by step tutorial on how to create this gorgeous backdrop and dessert buffet by checking out our post over on Oriental Trading Company Fun 365. The DIY Centerpiece was also one of our favorite party elements and combined fresh white florals, sparkling moon and star detailing, custom signage and petite gold rocket ships! You can head on over to Oriental Trading Company Fun 3to get the full tutorial to recreate this adorable baby shower centerpiece at home! 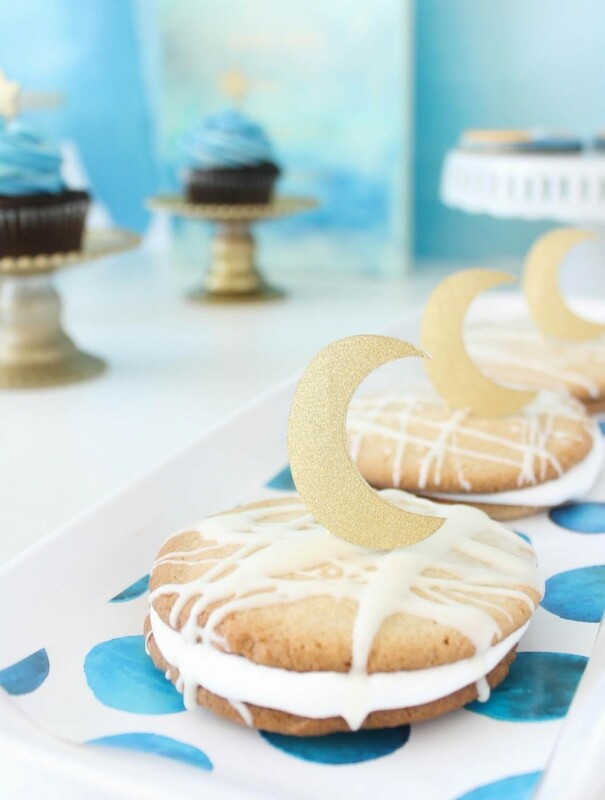 Lasty, we wanted to create a custom and unique recipe item for our DIY Dessert Buffet and our White Chocolate Moon Pie Recipe not only looked perfect on the buffet but it worked so amazingly with out theme and the flavor was out of this world! You can head on over to Oriental Trading Fun 365 to grab the full recipe and try these delicious Moon Pies for yourself! Want to see more Love You to the Moon and Back baby shower images, party diy ideas and recipes ? Be sure to head to Oriental Trading Fun 365 to see the full party post!